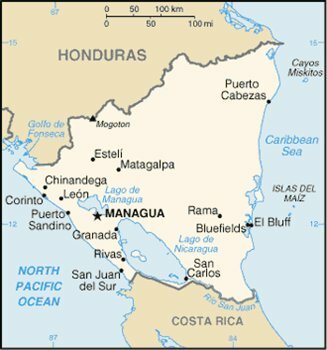 Nicaragua is the second poorest country in Central America after Haiti. With a population of approximately six million, the country was tormented by a dictatorship for more than 40 years. A revolution in 1978-9, led by the Sandinista movement, eventually ousted the Somoza dynasty and restored a socialist democracy, which promoted a mixed economy. The revolution was followed by the Contra Wars during the eighties, as Nicaragua became a focus during the final years of the Cold War. Ten of thousands of Nicaraguans were killed in this period and the infrastructure of the country significantly damaged. Following the end of the Contra Wars, peace was restored and the task of rebuilding the country began. Today Nicaragua, though very poor by western standards, has a growing economy and a growth rate higher than that of Europe. However, as the economy grows, so does the gulf between the emerging middle class and the poor. 80% of the poor still live in rural areas, where access to services is difficult if not impossible. In the cities, many of the poor still live in shanty towns, with vestigial public services. The pressure on families is great and in the cities, children are sometimes abandoned in the streets and other public places. Violence against women remains an issue.